If you've been on the lookout for a product that can help you achieve beachy and soft waves, The Wave Maker Texturizing Beach Spray might just be what you have been looking for. 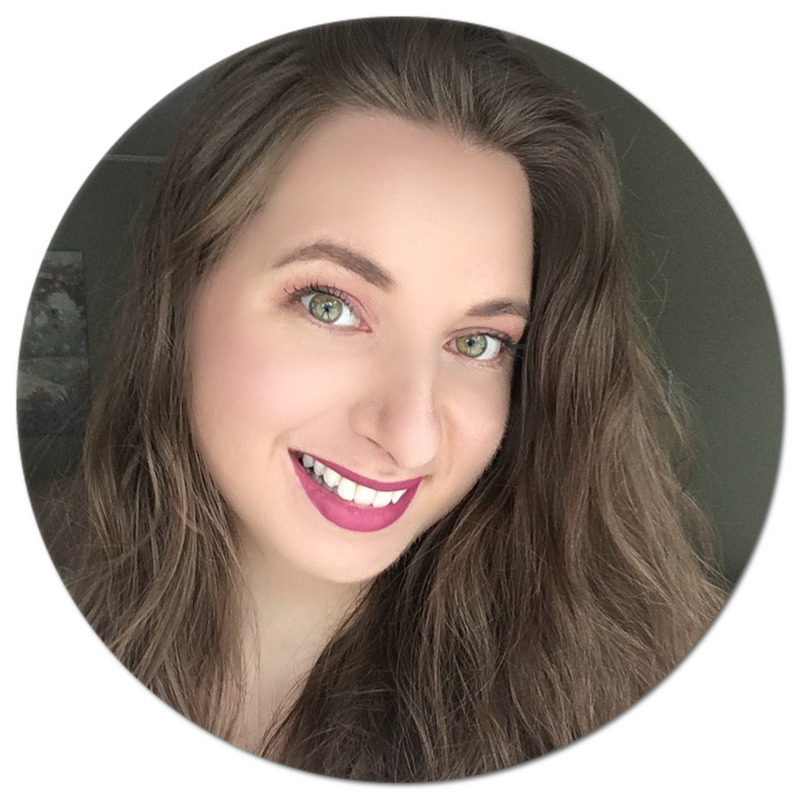 I naturally have wavy hair, but it tends to be flatter in certain areas and not as defined as I would like on non-wash days. That's where this gem of a product comes in. Not only does this sugar-infused spray make my hair smell like sweet candy, but it helps bring that natural wave back and keeps my mane looking nicely defined in between washes. I'm super picky when it comes to styling products because I usually find they weigh my hair down and create a lot of buildup, but I've been pleasantly surprised with this one. You can use it on wet hair by gently scrunching and then letting it air dry/blow drying it (use this method if you don't already have wavy hair), but I've been mostly using it on my dry hair as a finishing spray to help bring my waves back to life. The other styling product I have been enjoying is The Hold Out Flexy Hold Hair Spray. I avoid hair sprays that leave my hair feeling dry and crunchy, which is why I am such a fan of this one. It leaves my hair feeling touchably soft and not stiff or dry, yet still allows for movement while helping tame the frizz, flyaways and baby hairs that stick out. It also helps bring out the volume, so if on a certain day my hair is looking extra flat, I like to revive it by spraying some of this stuff on. As with all of Cake Beauty's products, it is free of harsh chemicals (which I am especially sensitive to in hair sprays). This flexible hold spray has been such a nice addition for times when I want my hair to look more put together and less like a frizzy mess. It has has a sweet, citrus scent, which I absolutely love as well. Now, The Take Out Dry Shampoo Sheets got me extra excited because I've never tried anything quite like them. They are basically like blotting sheets, but for your hair roots! I've been using dry shampoo sprays and powders for years, so I was looking forward to trying this new method. The package contains 20 sheets, and I love that it is so compact and travel-friendly, something you can easily throw in your purse too! These are basically oil-absorbing rice sheets that help draw out the oil from your hair, plus you don't have to worry about a powdery residue being left behind. I've been mostly using these on second-day hair since I need something more heavy duty past that. It's kind of cool (gross?) seeing the oil transfer onto the scented sheet. I recommend going with a gentle hand since these thin sheets tend to tear easily. I must admit I was pretty shocked to experience how well these work! I always enjoy trying new hair washing products, and The Posh Wash Sulfate-Free Swirl Shampoo has been such a treat to use. As with all Cake Beauty products, the sweet scent is absolutely divine - it reminds me of when I used to work at a pastry shop! As this shampoo is sulfate-free, it does not lather immensely, however it still suds up slightly making it easy to spread a small amount all over my scalp. I find that I can go longer between washes since I've started using this. It contains ingredients such as moringa seed extract (which I personally love in hair care as documented here), aloe leaf juice and apple cider vinegar. The first time I used it, I poured way too much out and realized how much a little goes a long way. I definitely feel like it helps remove any buildup and leaves my hair feeling super clean. I follow up with The Soft Serve Cream Rinse Conditioner which I focus from ear-level down. It has quite a creamy texture, which is why I like leaving it on for about three minutes, almost like a hair mask, to let my strands soak in the benefits before rinsing. Once again, it contains moringa seed extract as well as shea butter and lemon seed oil, so you can just imagine how deeply nourishing the formula is. I can immediately notice smoother hair upon stepping out of the shower, and when dry, my hair feels super soft and has a healthy shine to it. Despite it being a heavier conditioner, the volume of my hair is not compromised as my hair doesn't end up looking flat or weighed down and still has a nice bounce to it. If you are looking for a heavy duty hand cream, the Heavy Cream Intensive Hand Repair Balm might just put an end to your search. This cream is very concentrated and thick, so you don't need to use very much. It smells very sweet, with the coconut oil and vanilla coming through. Other notable ingredients include shea butter, aloe vera, sunflower seed oil, olive oil, camellia leaf extract, licorice root extract and grape seed extract. This has done wonders to keep my hands moisturized throughout the day as I like to apply this first thing in the morning. My only gripe with this product is that is can be a little hard to squeeze out of the tube because it is so thick, so keep that in mind, especially at first use. The product will eventually come out with a good amount of pressure. To be honest, I often neglect moisturizing my feet, as I prioritize taking care of my face when it comes to skincare. That being said, the Cake Walk Rich + Reviving Foot Pretty Creme has made me look forward to showing my feet some TLC, being that the minty and buttery scent is so fresh and uplifting and that this creme works like a charm. It is definitely on the thicker side, and I've found the best way to use it is to apply a thin layer and then slip some socks on before going to bed. Some key ingredients include sunflower seed oil, avocado oil, sweet almond oil, cocoa butter, coconut oil and peppermint oil. I really need to be more consistent doing this because I notice my feet looking and feeling so much smoother after just one use - that's how effective it is! You can purchase Cake Beauty directly on their website. In Canada, it is also available at Shoppers Drug Mart/Pharmaprix, both in stores and online, as well as on Well.ca. Have you heard of Cake Beauty? Which product(s) caught your eye? I have heard a lot of great things about Cake Beauty. All of these products sound great! The Take Out Dry Shampoo Sheets really has me intrigued! Oh I must check out the hand cream. I'm always putting lotion on my hands. You had me at cake ;) Seriously though, I'd love to try out this line. I love the packaging and the name of course. Oh I've not heard of Cake Beauty (but hey I like the name). I am definitely up for giving them a try though as it sounds like they are well respected company which makes real products. I had never heard of this brand before! But the packaging looks gorgeous! I love that it is vegan! I have never heard of this brand until now. I think I need to check it out. That hand balm, heavy cream really sounds like something I could use. The packaging is very cute ,.. love the Color,. I would love to try Cake , i have heard such great things about it , thanks for the great review !! Okay they did an excellent job with their packaging. And the names! Totally want to try this brand out! The packaging is very pretty. I would totally love to try out the dry shampoo sheets. It seems that my dry shampoo spray runs out so quickly and I hate the residue that it leaves if too much is applied. These products look like a great way to treat my hair. I have never heard of this brand but they do seem like a way to get that fresh look. I've never heard of Cake Beauty products but I sure do like what I'm hearing. I really want to try the shampoo and conditioner. I don't know the brand but probably my wife knows it. These seems like great products. Thanks a lot for sharing. I've tried Cake Beauty lotion and hand cream and they smell delicious. I love their products so much! I am always looking for a good beach spray. I'm ordering this one for summer! Thank you for the recommendation. 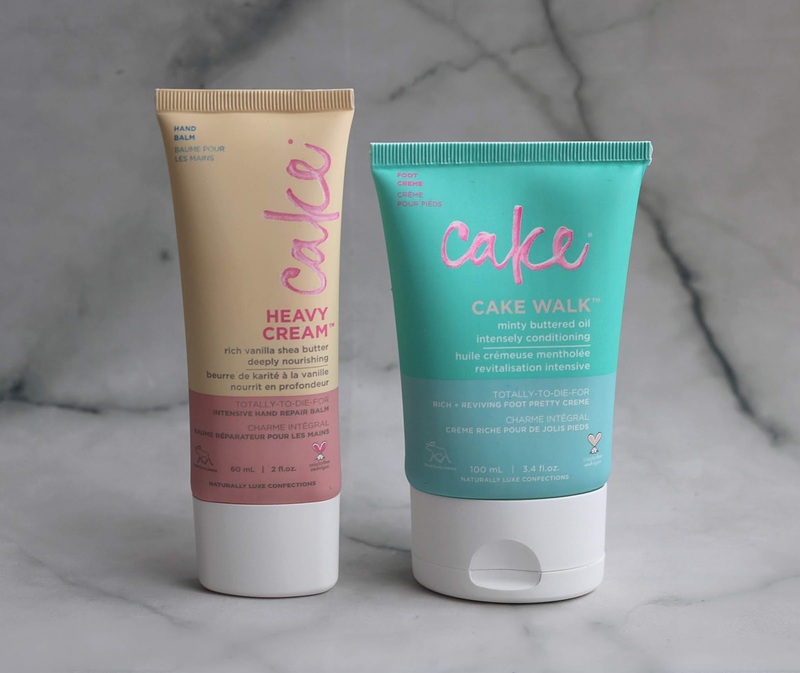 I have never heard of Cake beauty products before but these sound fantastic! I am always on the lookout for new products. Will have to give the shampoo and conditioner a try! This is the first I have heard of Cake but it won't be the last time I know of it. I am going to find it and give it a try! I have not heard of this product but they all look super good. I'd love to try out this line. I like the idea of a dry shampoo wipe! perfect to keep in a purse. I have been using a sulfate free shampoo and I think i am going to keep it that way. I want to check these out. These are interesting products! Would love to try all of these, I think my hair will look great too. I had never heard of these products. Thank you for the review. I am always looking for new hair care products. I am always looking for new beauty products. Thanks for sharing these! I have not heard about this products before! They look amazing, the dry shampoo sheets caught my eye. I've never heard of these products. Thanks for bringing them to my attention. I haven't heard about this products, I need to check it out. Looks like great products. I am in a market for good shampoo. I will have to share this with my daughter. She has curly to wavy hair. I think she would find this very helpful to her. I'll have to look for these. I'm always trying to find good vegan hair products. Wow! The cake products are really nice.Thank you for the information. I haven't heard of cake beauty before but it looks like a really great product! I would love to try the wave and curl making products. i'll have to look into trying some of these out, thanks for sharing! I had not heard of this product before. I saw it on one of your social channels and thought I would check it out! Thanks for sharing. I love hearing about new products! I had never heard of this brand before! It sounds so amazing! I also love that it is vegan!